Enjoy the top 7 famous quotes, sayings and quotations by Carl Gardner. 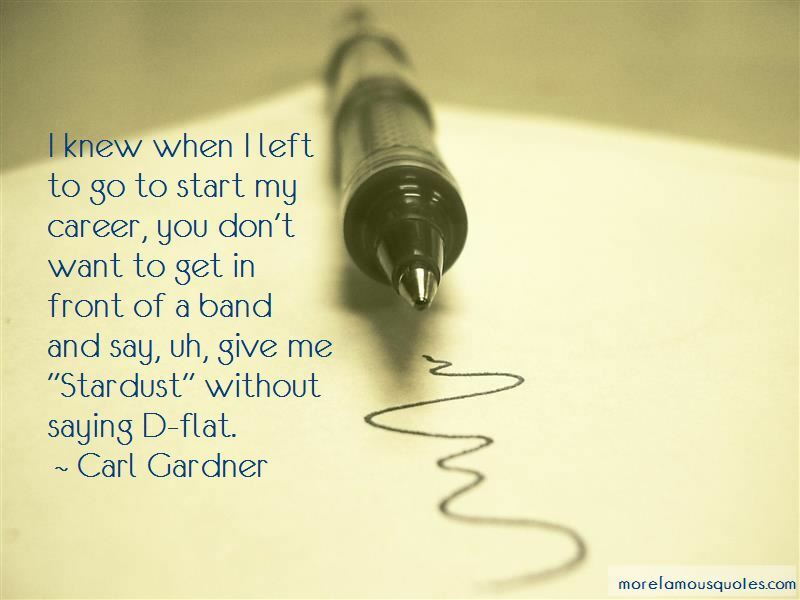 I knew when I left to go to start my career, you don't want to get in front of a band and say, uh, give me "Stardust" without saying D-flat. I did not want vocal groups. 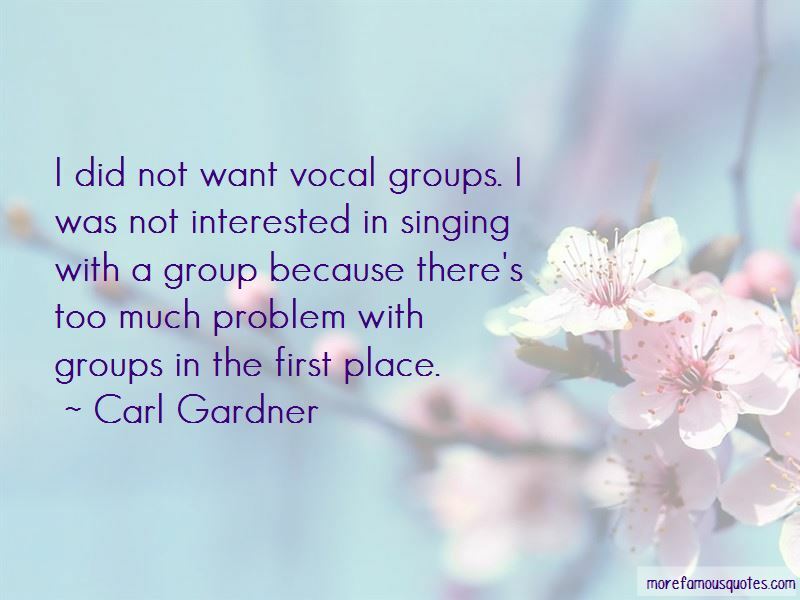 I was not interested in singing with a group because there's too much problem with groups in the first place. 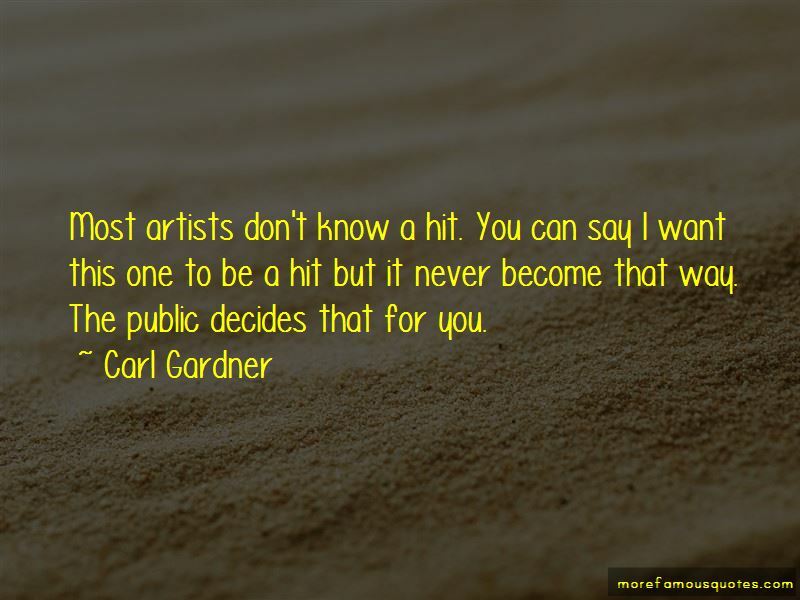 Want to see more pictures of Carl Gardner quotes? 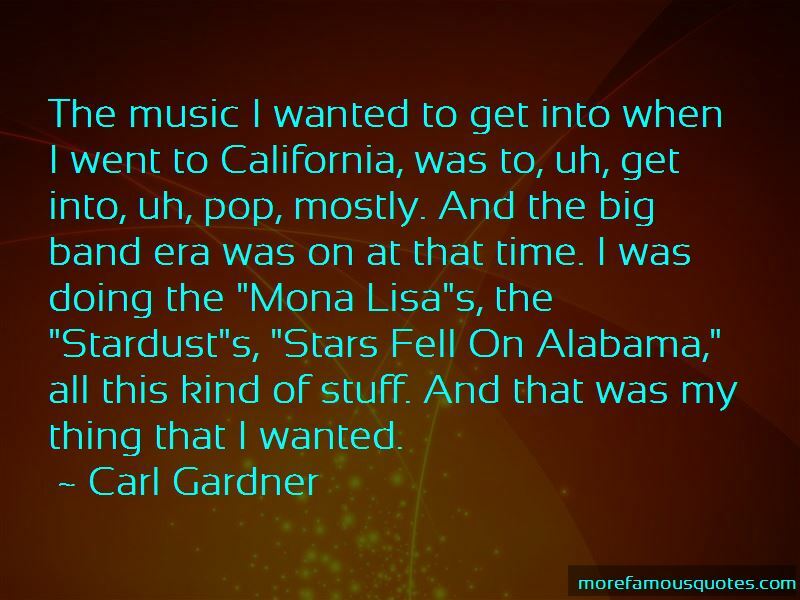 Click on image of Carl Gardner quotes to view full size.